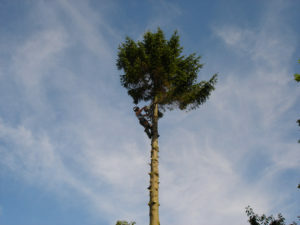 B and B Young Tree Services are based in Gomersal. We are committed to helping residents and businesses maintain beautiful, healthy trees and shrubs. 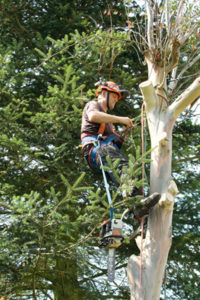 We can trim and remove trees and stumps, making any area more serviceable. We are ideally located to service Cleckheation, Birkenshaw, Birstall, Batley, Heckmondwike, Gomersal, Scholes, Wyke and Dewsbury areas, we also service Leeds, Bradford and Wakefield. Let our expertise, skills and attention to detail make your dream come true. 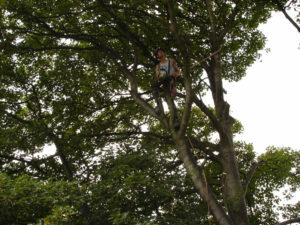 It is important that tree felling is planned very carefully. Trees must be felled safely and in the direction that you want them to fall. Our primary concern is whether there are major obstacles in the area (overhead lines, roads and buildings, etc.). On completion we remove all the debris as part of our fee.